We do updates, remodels and improvement projects. To provide highest quality, energy efficient, safe and affordable electrical construction, repairs, rewires and retrofits. Look at the whole picture; conserving energy, preserving, restoring and sustaining your building. 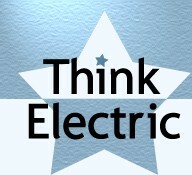 To provide a positive, safe, low stress, healthy, working environment for electricians in the northwest. Conservation of the environment we all share. To enhance the community we live in by doing volunteer projects. To be an open, honest, and transparent business.